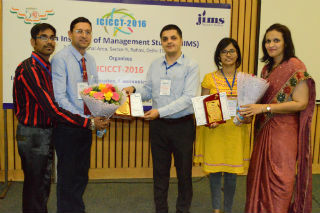 International Conference on Information, Communication and Computing Technology was organized by Department of IT of JIMS Rohini at India International Center on 14th May 2016,New Delhi. 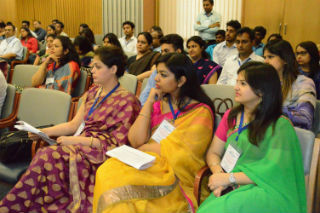 The Conference focused on various areas like data mining and big data analytics, communications and network systems, software engineering, emerging computing technologies, wireless networking, e-learning and multimedia, mobile computing, security information systems, data warehouse and database engineering. A total number of 36 authors presented their research papers in 04 different technical sessions. 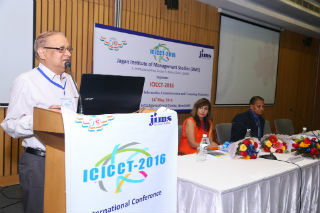 International participants from Pakistan & Nigeria also contributed their knowledge in ICICCT-2016. 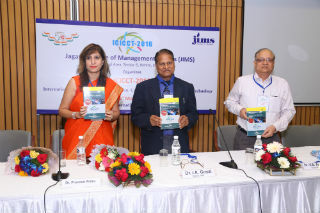 A panel of 06 judges from IIT-Delhi, GGSIPU & University of Delhi evaluated the performance of authors & awarded two best paper awards with cash prizes of Rs.10,000 & Rs.5000. Overall the conference provides opportunities for delegates from different areas to exchange new ideas and application experiences face to face, to establish business or research relations and to find global partners for future collaboration. We hope that this event will further stimulate research in major areas of Information, communication and computing technology in order to provide practitioners with better techniques, algorithms, and tools for deployment.